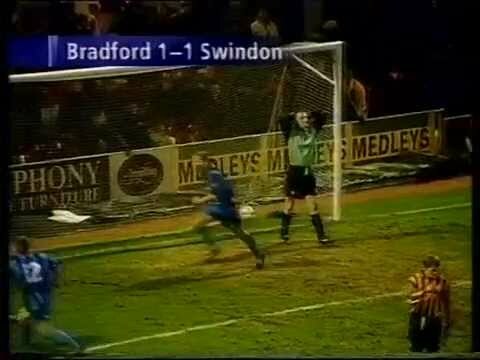 After being formed in 1903 and joining the league immediately in an attempt to introduce the round-ball game to an area dominated by rugby league, it was 55 years before Bradford's first encounter with Swindon, a 2-2 draw being played out at the County Ground. 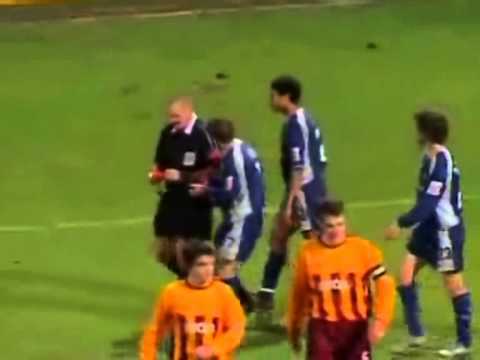 In 1968/69, Bradford nearly put an end to the Town's run in the League Cup early on, when they took a two goal lead within the first eighteen minutes of the Second Round replay at Swindon. 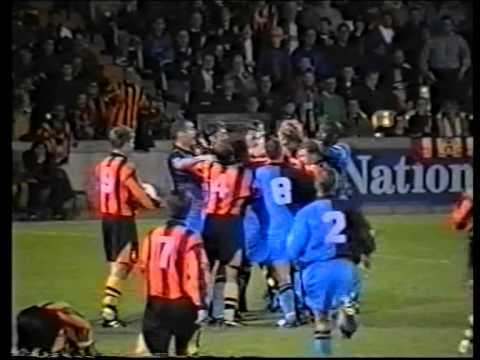 Goals from Jack Smith and a Don Rogers penalty sent the teams in level at half-time, before Smart and Noble put the game beyond doubt - a late consolation by City ending the scoring at 4-3, as the Town went on to Wembley. 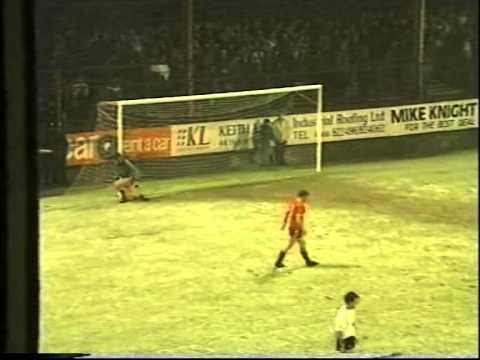 After the first match is abandoned with the Town 3-0 up, the rematch seems to be going the same way, when Roy Wegerle and Dave Bamber put the Town two up with two goals in a three minute spell early in the second half. 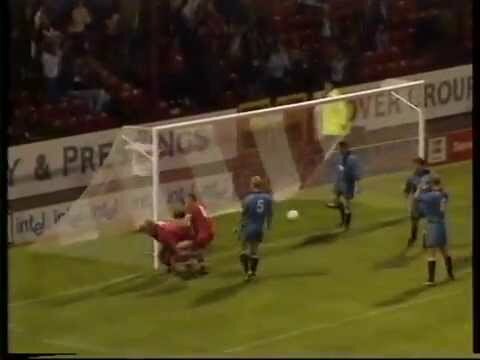 An early goal from Duncan Shearer gives the Town the win - and with just one defeat in the last ten games, Swindon move into the play-off places for the first time. 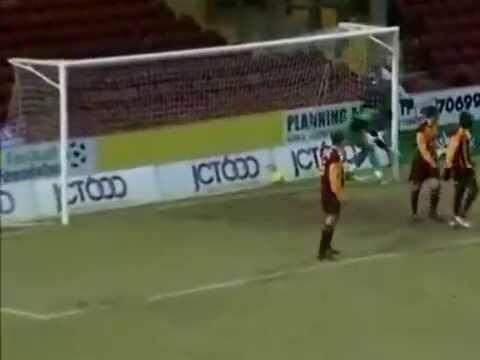 Swindon score three goals in five minutes to register a 3-1 win over Bradford - but not before Fraser Digby saves a second half penalty. 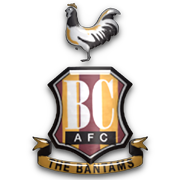 The Town give an impressive performance in sweeping aside fourth-placed Bradford, to go three points clear at the top of the table. 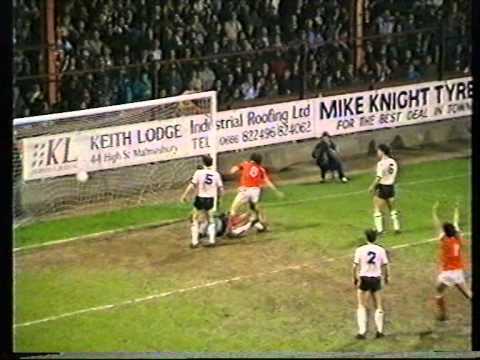 With the home side looking for a win to all but secure their place in the play-offs, they take the lead early in the second half - but Wayne Allison nets an equaliser for the Town with twenty minutes remaining. 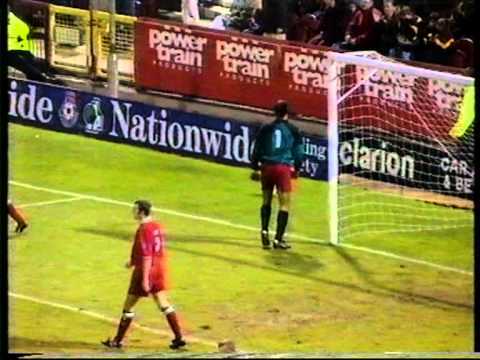 Goals at the end of the first half and the beginning of the second turn this game around for Bradford, after Mark Walters' penalty had given Swindon the lead. 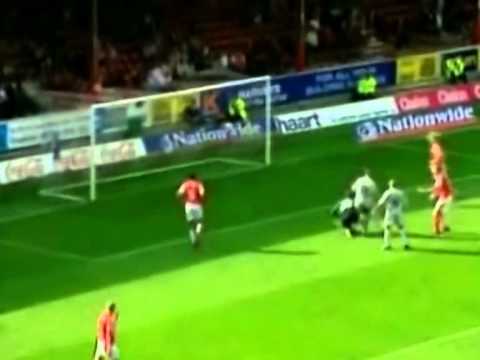 Former Town man Chris Kamara brings his Bradford side to the County Ground - Kevin Horlock's goal early in the second half winning a point for Swindon. 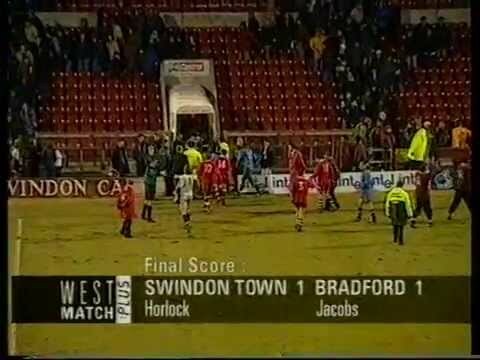 A superb strike by Steve Cowe gives Swindon all three points against Bradford, keeping the Town at the top of the league. 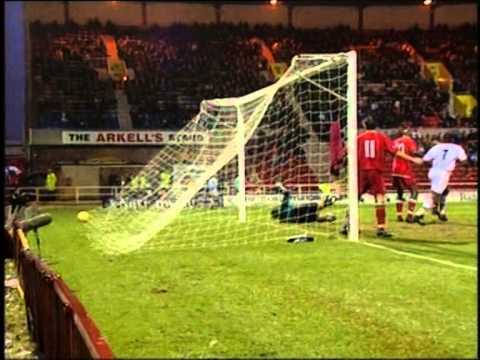 A superb strike by Steve Cowe gives Swindon all three points against Bradford. 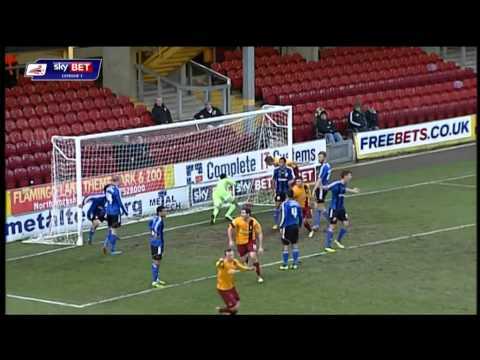 Chris Hay nets in the fifth minute of injury time - his first goal since November - to salvage a point from Valley Parade. The Town go in at half-time goalless, but early in the second half, after keeper Frank Talia looks to have been fouled, Craig Taylor is sent off for handling the ball on the line. 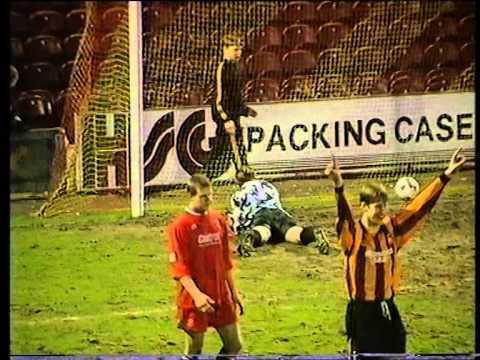 Not even a month after losing by three goals with ten men at Valley Parade, the feat is repeated at the County Ground - despite Iffy Onuora's early goal, Bradford score either side of half time to take the lead - then go on to score twice more after Scott Leitch's red card, and despite a sending off of their own. 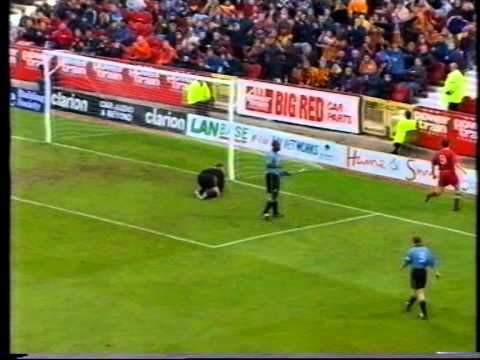 An intruder waltzes onto the pitch as Sam Parkin is sent off with seven minutes to go, but a little bit of magic from Sammy Igoe - a thirty yard thunderbolt right into the top corner - wins the three points for the ten men. Grant Smith nets a quickfire double just after the restart - and the Town hold on to win 2-1 despite another sending off for Jerel Ifil. 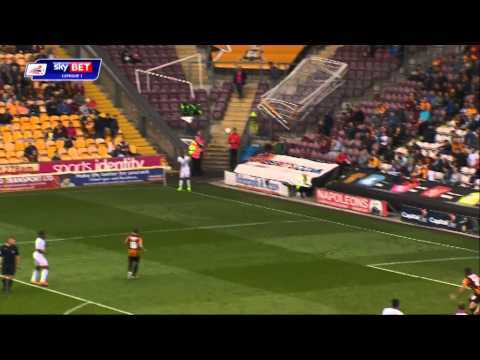 Swindon's fifth defeat on the bounce means it's curtains for Andy King - the Town boss relieved of his duties after Steve Claridge's double seals victory for the Bantams. 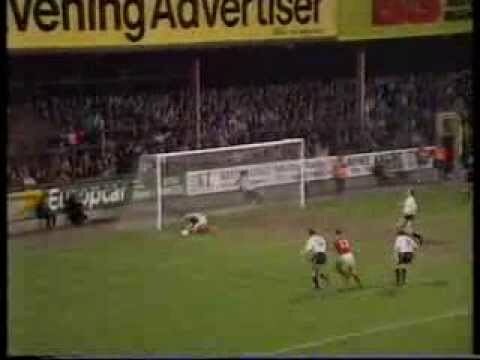 Sean O'Hanlon's last minute goal rescues a point for Swindon, after Dean Windass' opener just twelve minutes from time. 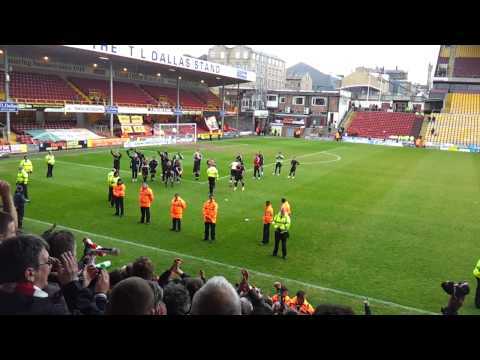 After the final game of the 2011/2012 season, Paolo di Canio leads the celebrations with the travelling Town support. 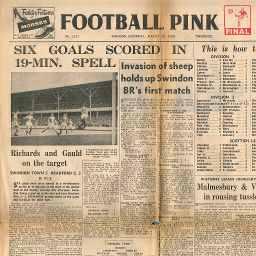 Click to view a newspaper report of Swindon's 5-3 win against Bradford City in the 1959-1960 season. 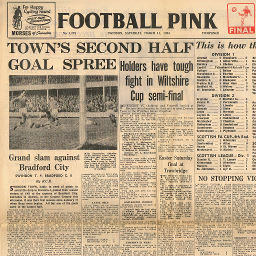 Click to view a newspaper report of Swindon's 0-1 defeat at Bradford City in the 1959-1960 season. 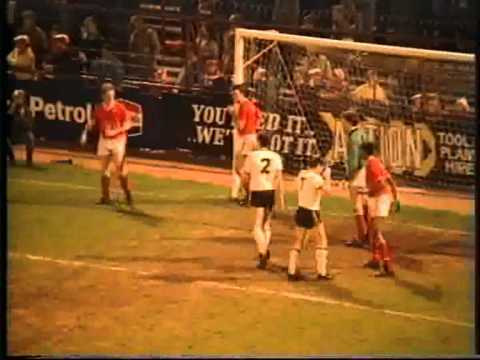 Saturday, October 22, 1960 AN UPHILL TUSSLE AFTER 4 MIN. 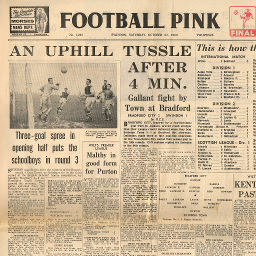 Click to view a newspaper report of Swindon's 1-2 defeat at Bradford City in the 1960-1961 season. 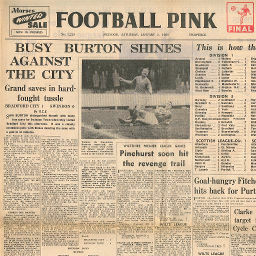 Click to view a newspaper report of Swindon's 4-0 win against Bradford City in the 1960-1961 season.